The Raspberry Pi Model B+ is a budget friendly ARM microcontroller that is able to run Linux to control your advanced robot projects. This model comes with an 8GB SD card preloaded with the NOOBS OS! 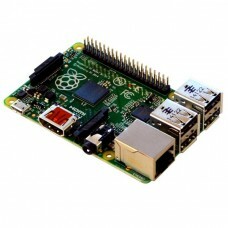 The Raspberry Pi features a 32 bit ARM processor, 512MB of RAM and boots directly from a microSD card. The Model B+ has a 40 pin header with an assortment of GPIO ports including PWM, I2C, SPI and a serial port. Four standard USB ports are provided for access to a wide variety of computing hardware such as WiFi adapters and keyboards. An Ethernet port provides wired network connectivity. 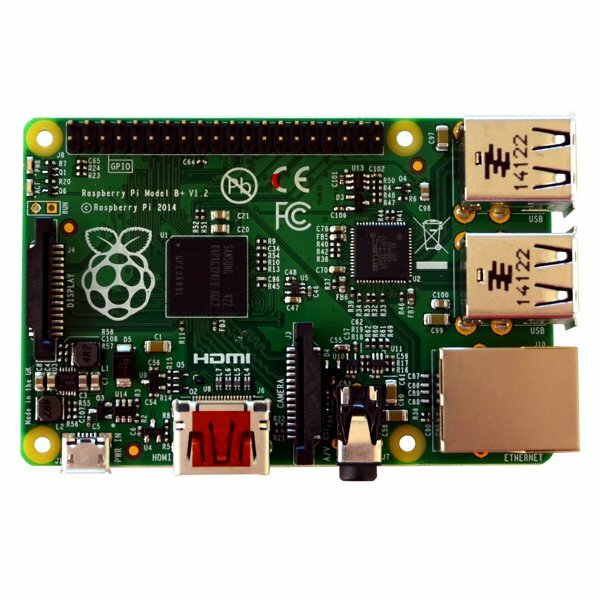 The Raspberry Pi also features a robust graphic controller with output to HDMI. An LCD display connector is also provided. This microcontroller boots directly from a microSD card. It requires a 5V 1A power supply from a micro USB adapter or via the expansion header. An 8GB microSD card with a bootable NOOBS OS image is included.